The Short Version: A Christian-owned dating site, cMatch is at the forefront of values-based dating for an international community of singles. Over 130,000 Christians have joined the network so far, and cMatch currently features more than 10,000 active profiles made by relationship-oriented men and women. With exhaustively vetted profiles, a clutter-free inbox, and a proprietary matching algorithm, the site upholds Christian values in every aspect of their business model. Since 2006, cMatch has promised singles a safe haven to connect with like-minded people from around the world. Singles of all Christian denominations are welcome to join cMatch for free and enjoy the fellowship of a genuine dating site. Living in the Netherlands in the late ’90s, Chris Algra was underwhelmed by the online dating options for single Christians in Europe — they were too scarce and too generic — so he decided to join a dating site for Christians in the U.S.
Chris Algra, Founder of cMatch, stays true to his audience of Christian singles as he runs the site. Chris soon found himself having profound discussions with faith-oriented people in a global community, and he wanted to share the joy with other Christians like him. 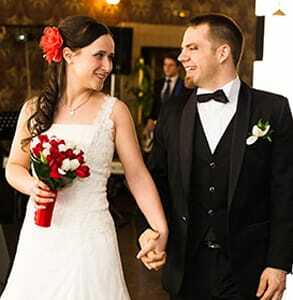 He began pursuing a career in building and managing websites for single Christians. In 2006, he launched cMatch, a Christians-only dating network intended to encourage intercultural relationships, friendships, and fellowship. Today, a diverse team of Christians run a safe, free, and vibrant site for singles with a thorough screening to foster a high-quality and authentic user base. cMatch members hail from countries and regions around the world, including the U.S., Canada, East Africa, Southeast Asia, and Australia, and come from all denominations of Christianity. To ensure money isn’t an obstacle to love, cMatch offers a freemium site where free members can receive an unlimited number of messages and can send up to five messages every 24 hours. For added value, the premium membership offers ad-free browsing as well as unlimited messaging — and it will not auto-renew. cMatch is a dating site that puts users ahead of profit, and Chris is proud to maintain high standards of integrity in everything he does. All profiles are vetted by the cMatch team to assess if the applicant is upstanding, genuine, and Christian. When you browse these profiles, you’ll see only verified members active on the site. Unlike other dating websites, cMatch doesn’t pad their numbers with fake profiles. The staff members dedicate themselves to Christian principles and values as they help singles find a pathway to faith-based friendships and relationships. Quality is prioritized above quantity here. On the site, lighthearted and thought-provoking match questions cut to the heart of who a person is so their match algorithm can recommend the most compatible singles active on the site. 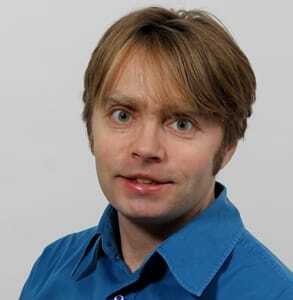 The global cMatch team is on a mission to keep the site safe for all users, and the measures they take are top-notch. “We’re seeing much less scammers slipping through cMatch’s nets, and we’re darn proud of it,” Chris said. Among cMatch’s unique features is the ability to give praise to other members. You can compliment someone with a badge of honor — an icon that promotes the recipient’s attractive qualities such as “You are very huggable” or “You are a prayer warrior.” These badges add a bit of flirtatious fun and give members a boost as they search the site for worthy individuals. Plus, advanced search functionality lets you find your perfect match that much faster. Over the past 10+ years, cMatch has proven their ability to build lasting connections between Christians all over the world. Location no longer stands in the way of love on this site. In 2010, Raluca sent a wink to Scott on cMatch. Less than two years later, they were married. Since he joined the online Christian community more than two decades ago, Chris has dedicated himself to serving singles in search of a faith-based dating experience. Their values guide every feature and policy — from in-depth match questions to free messaging. Over the years, cMatch has built a reputation as a moral leader by running a safe dating site catering to single Christians the world over. 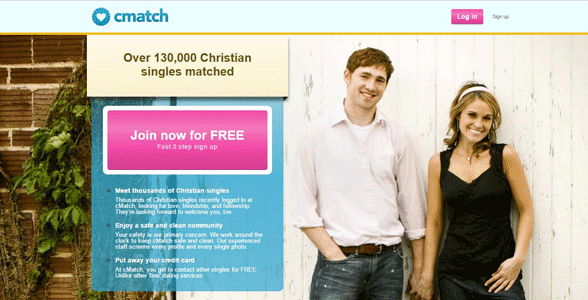 Backed by Christian values, cMatch runs a reliable, honest, and ethical dating site. From all corners of the world, Chris has pulled together a talented staff of Christians to make the site a helpful and secure place for wholesome singles in search of deep connections.